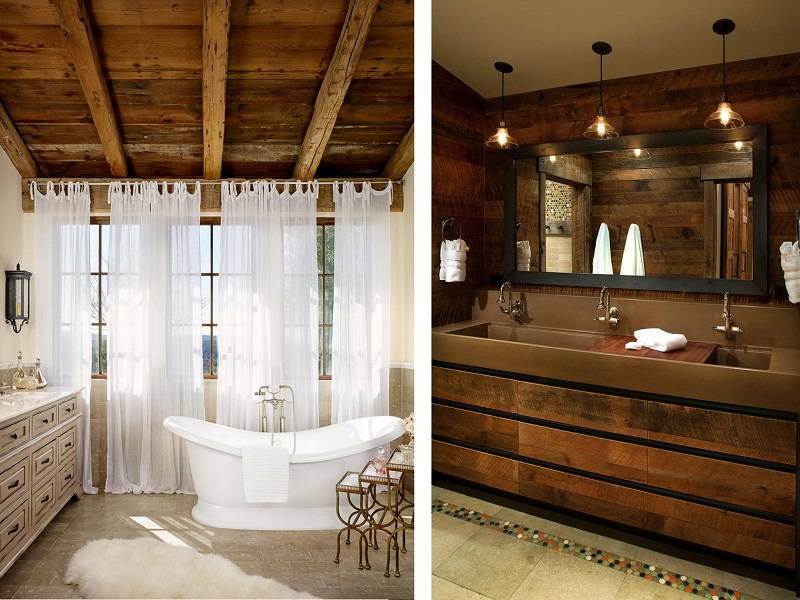 Break the monotony of contemporary designs in your bathroom by adding these rustic elements. Unless you live with a clingy pet goldfish, the bathroom is the only place you can find solace me-time. So why not make it look and feel really good? Rusticity is like a tablespoon of rugged sass; It embraces nature-inspired textures, simple and earthy colours, and an organic warmth. 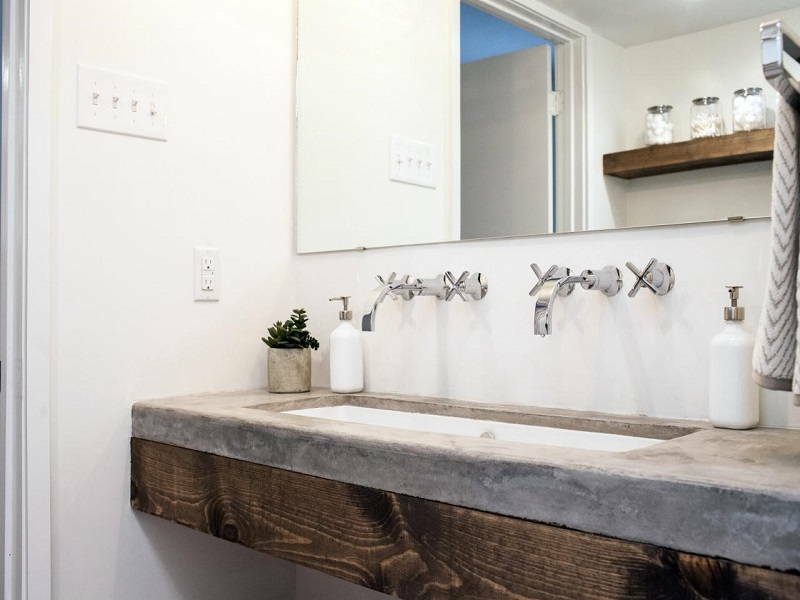 The first place to start if you’re considering a rustic bathroom design is with your choice of materials. 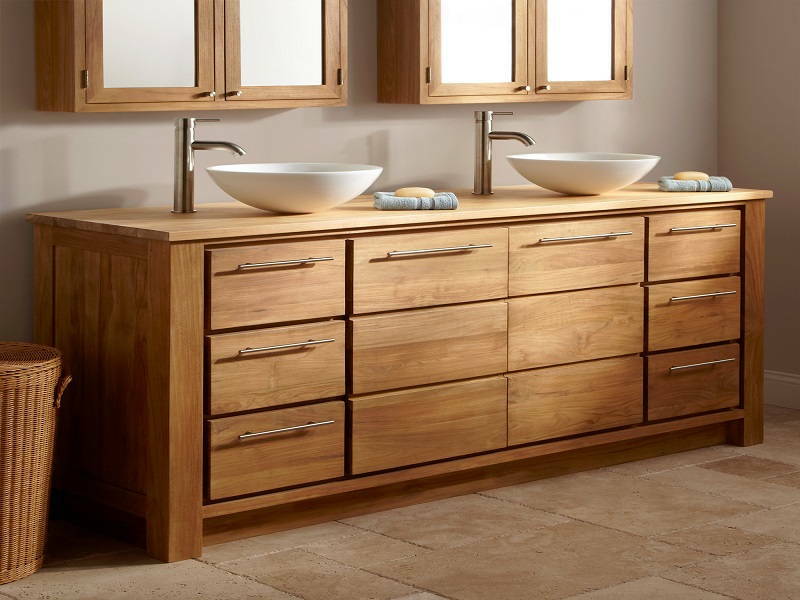 To transform your restroom into the best room, you’re gonna need these elements. 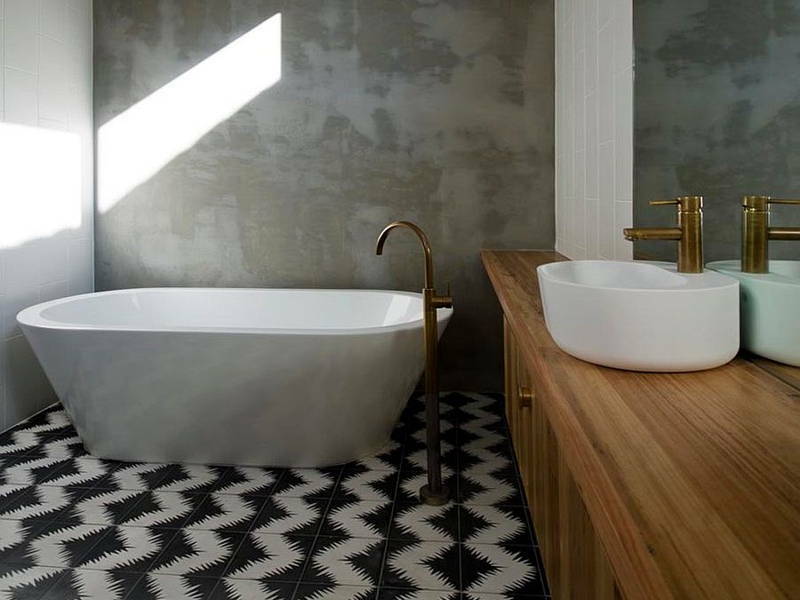 Just because tiles are popular doesn’t mean you have to use it. 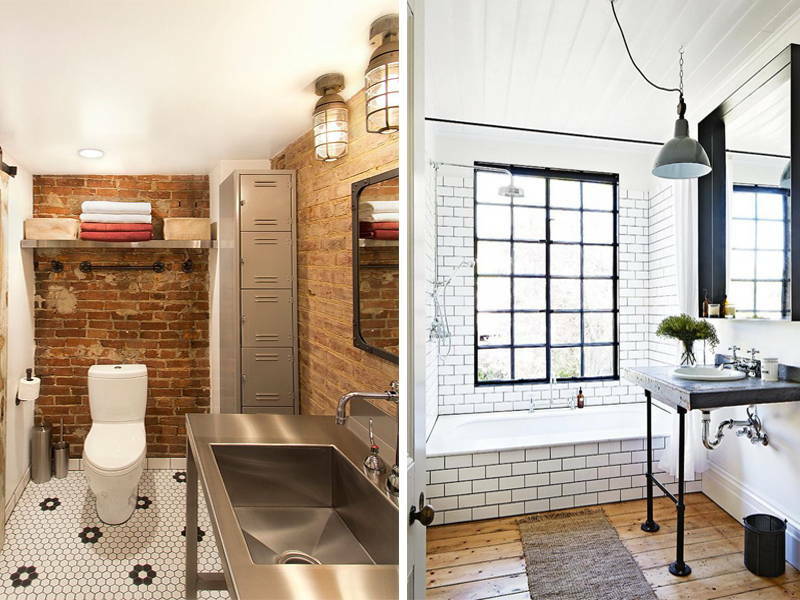 Raw, uncovered bricks will give your bathroom an edgier character. Ever step into an old building and catch yourself staring at the red brick walls? Well now you can sit and stare all you want. 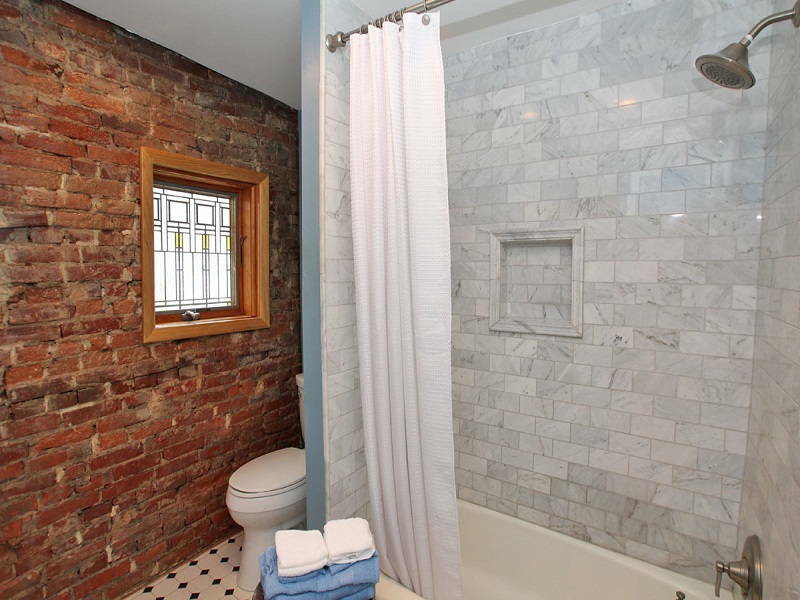 Your bathroom walls already have bricks, so it’s nothing unorthodox. We’re just stripping off the concrete, plaster, or tiles. 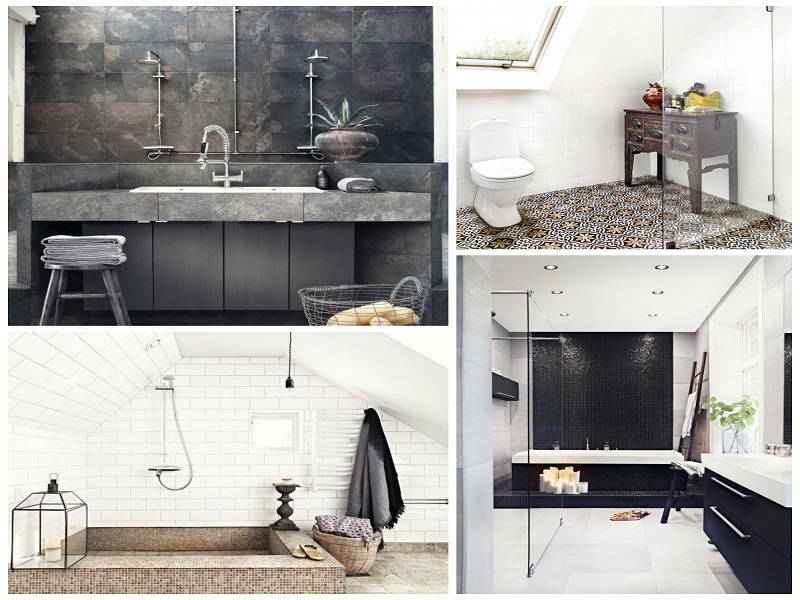 Naked is the new (old) theme for your bathroom. 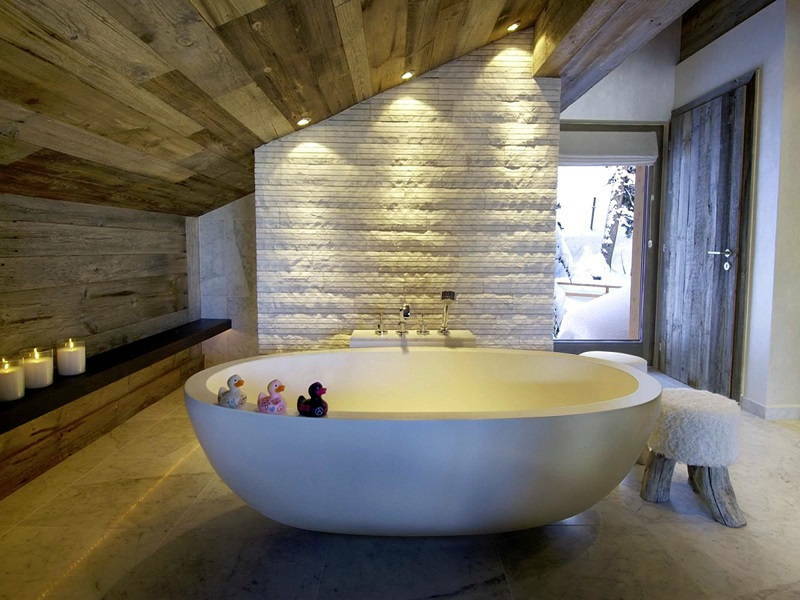 Wood is an essential material for any rustic design. The texture and grains of the wood give a warm ambience, and even reflect light wonderfully. 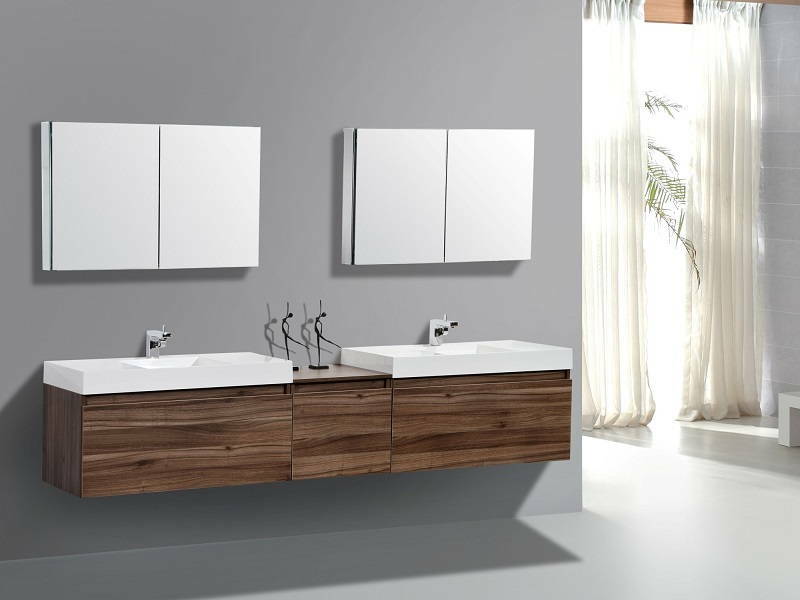 Wood also offers colour and depth, and can soften the look of hard ceramic finishes. If you’re worried about bringing the roof down with your soapy soprano sessions, wooden ceiling beams won’t just add style, but is also good for acoustics. You see a pattern here? 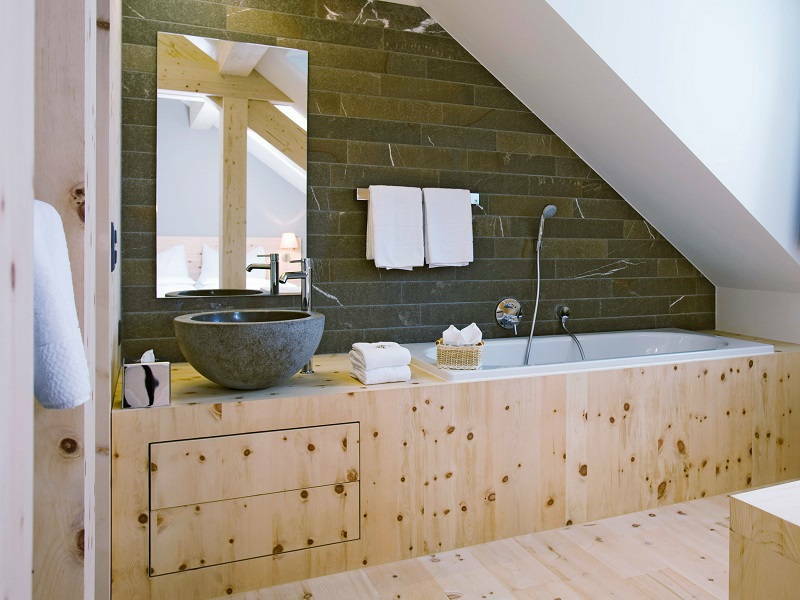 If you’re not up for renovating non-wooden ceilings and walls, then opt for wooden built-ins and furniture. They’re a good alternative to concrete or tiled counter tops. 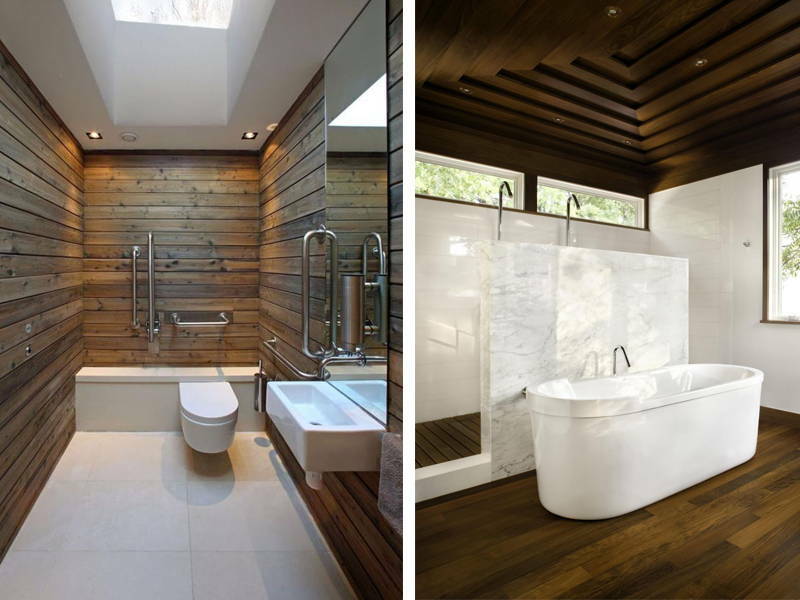 Go for wood with strong, obvious patterns to counter the boring and safe elements of tile and porcelain. Preferably weathered or worn-out wood for added effect. It also acts as a centerpiece that stands out. Your guests will never notice those stains on the wall you missed. If you’re worried about the wood rotting due to moisture, a simple coat of boiled linseed oil or any other off-the-shelf sealants or finishing primer will do. 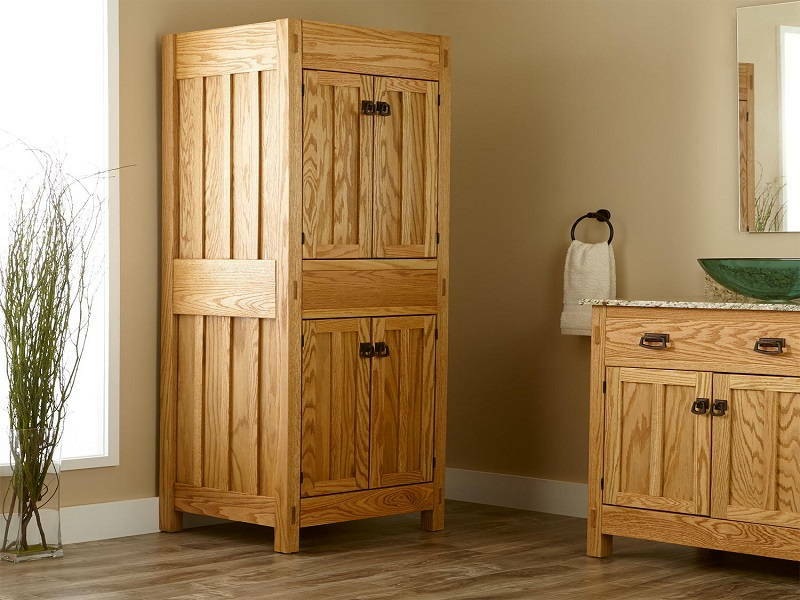 Just ask your local hardware for advice on keeping moisture away from your hard wood. Cement rendering is all the rage now. 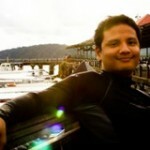 It’s inexpensive, ingenious, and incredibly easy to do. It gives a rugged and rustic look that tiles cannot offer. 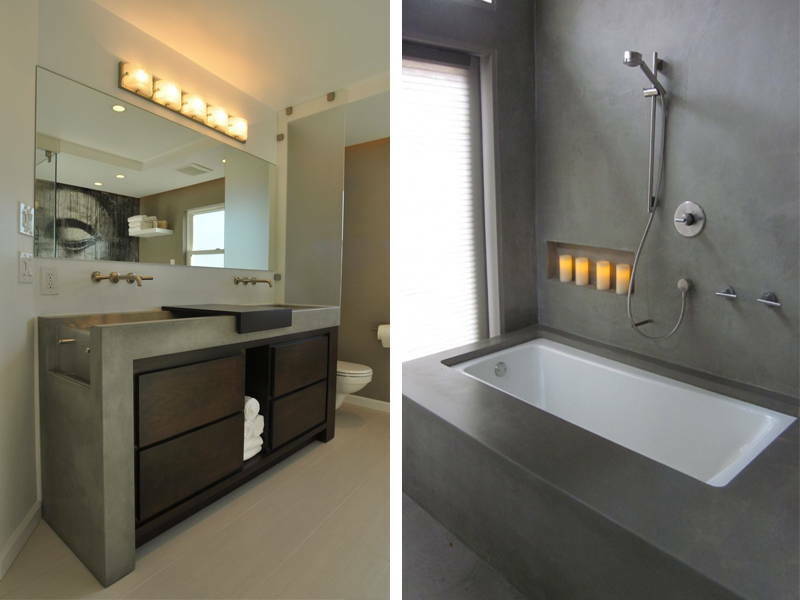 Cement is the most versatile element on this list as it can be fabricated and molded into various shapes and designs unlike wood and tiles. 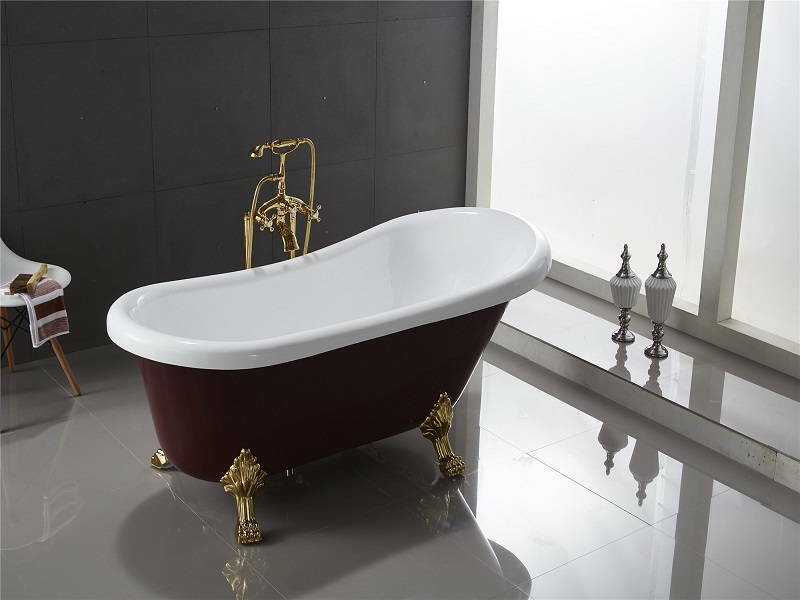 Its surface can also be engrained with patterns and its texture can be left smooth or rough to the touch, adding more design options to your bathroom. Old is gold. 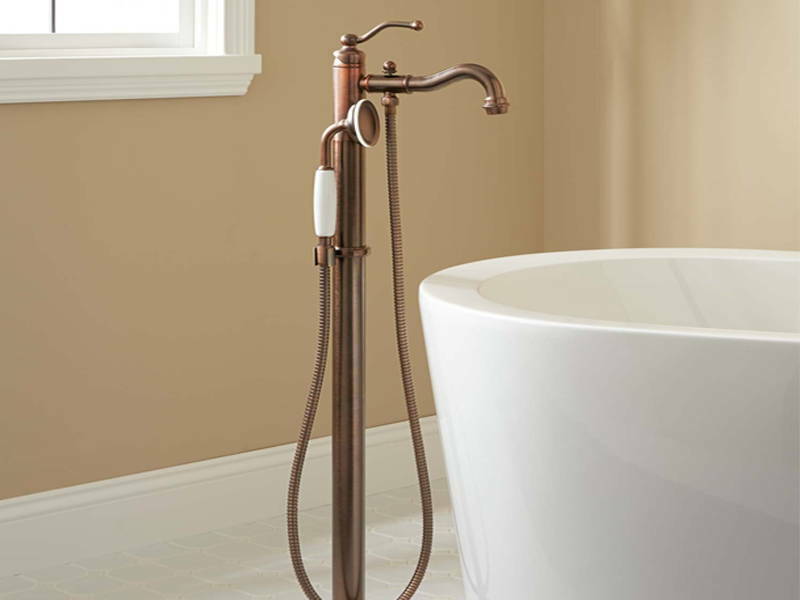 Gold and copper fixtures will give your bathroom a charming, vintage appeal. 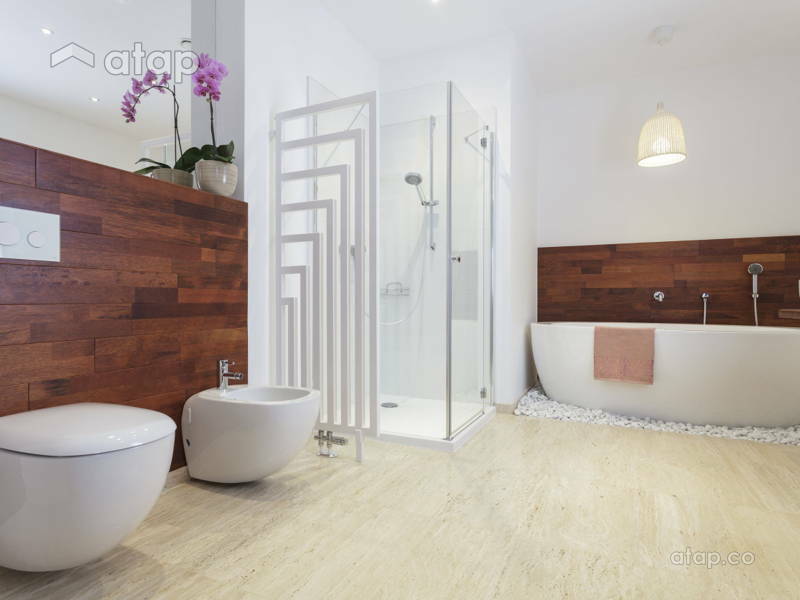 If you can only afford to make one item in your toilet stand out; this is it. 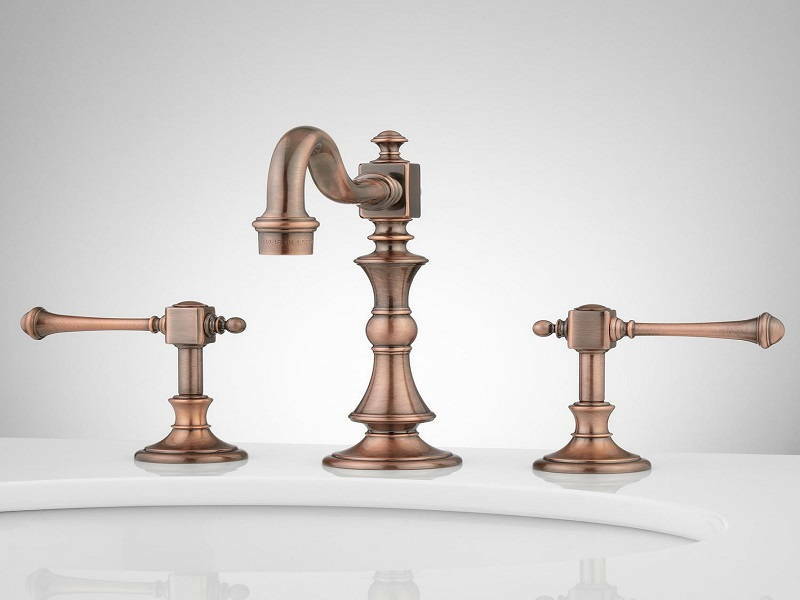 Taps are the most commonly used feature in any bathroom. We’d be worried if your guests aren’t using it as much as they should. Taps and fixtures are also the least complicated to DIY on this list. All you need are the right tools, an extra hand, YouTube tutorials, and good old fashion elbow grease! So many options and just 1 bathroom? Why not combine all those elements?